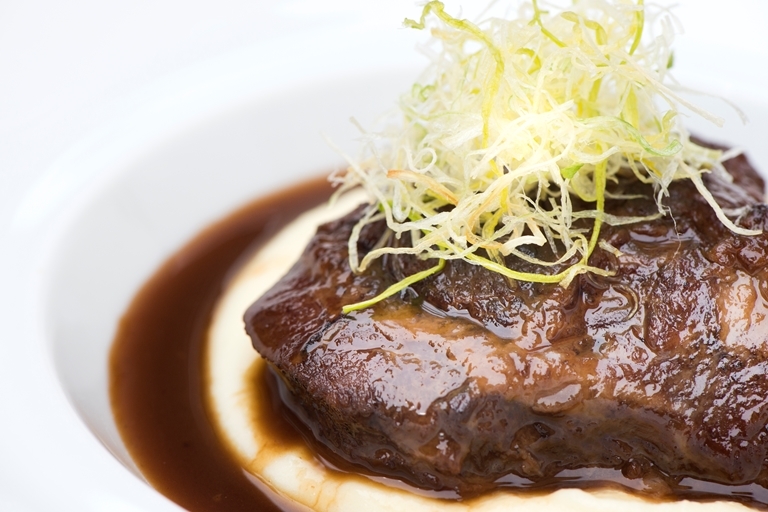 In this recipe, Giancarlo Perbellini presents a classic dish of mouthwateringly tender veal cheeks. The cheek muscle must be slow-cooked in order to achieve maximum softness, as it is a working muscle. Presented on silky mash, this is perfect fare for autumnal nights.